In Camera: Southern Africa: The New Carsploitation Capital of the World! Southern Africa: The New Carsploitation Capital of the World! 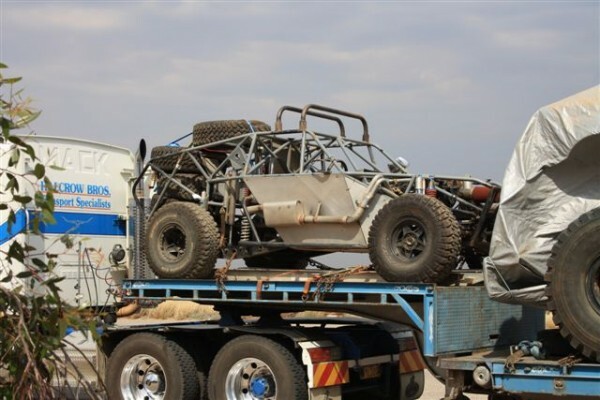 Vehicular destruction is all the rage in South Africa right now, and with the festive season (and its obligatory carnage) behind us, we don't have to wait long for more twisted steel arrives to satisfy our needs. What's more, there are no real deaths involved! What the hell am I on about? Well, Twitch reported the other day that Death Race 3 is currently filming right here in South Africa, and I read just yesterday that another HUGE film is on its way, one that includes "130 cars and bikes and 298 stunts"! Hit the jump for more. Director Roel Reine (Death Race 2, Scorpion King 3) once again takes the wheel of the explosive, action-thrill ride. Death Race 3 is produced by Mike Elliott (Death Race 2, Smokin' Aces 2: Assassins Ball), with Paul W.S. Anderson and Jeremy Bolt serving as executive producers. The screenplay is by Tony Giglio (Death Race 2). The film is an official South African/German Co-Production between Universal Pictures Productions GmbH and Moonlighting DR3 Production (Pty) Ltd, shot in South Africa and co-produced by Genevieve Hofmeyr, Marvin Saven, and Ralph Tuebben. The film's stellar production team includes director of photography John Shields (The Last House on the Left). Death Race 3 stars a number of my favourite bruisers, including Danny Trejo (don't text), Ving Rhames (Marsellus Wallace) and Luke Goss (Hellboy 2). Of course, you need some oestrogen in there somewhere, so in the mix are two local hotties Tanit Phoenix and Tanya Van Graan. Google them. Seriously. The next film hasn't started filming here yet, but Australia's The Age reported that come cars are on their way to Africa. 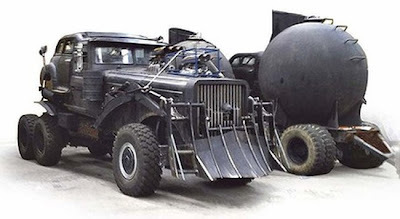 Folks, I'm talking about the mother of all car movies, Mad Max: Fury Road! George Miller (director of the original Mad Maxes) has been stuck in development hell for 25 years on this movie, and it is FINALLY going to be made. It was meant to be filmed in Australia, but too much rain turned the desert into a floral paradise, and delayed matters for over a year. It seems things are still not sorted, so they shafted the Aussies and are on their way to shoot in Namibia, scheduled to start in April. It's a big budget affair, stars Tom Hardy and Charlize Theron, and is going to be awesome. Let's hope that this time they finally get going. 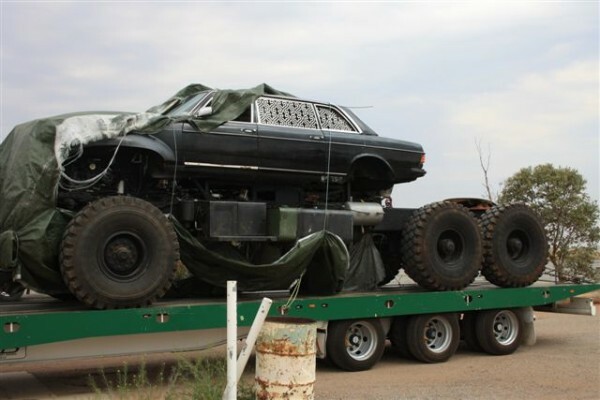 Check out some of the crazy cars below. If I knew where they were filming, I would grab a camera and have me a long weekend on (or near) the set. What I'm saying is, if you have an idea, tell me, and I'll bring back the goods!